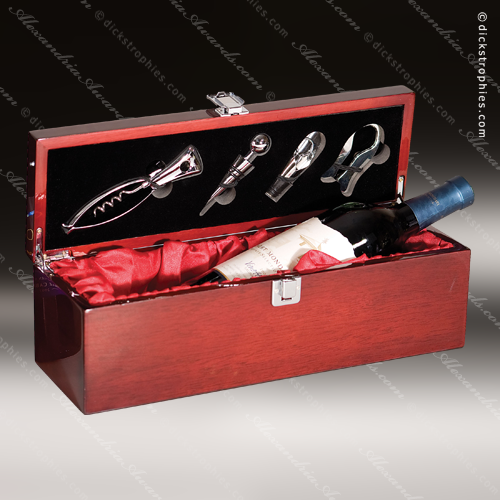 14 1/4" x 4.75" x 4.75"
Everything you need to relax with a glass of wine. 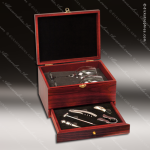 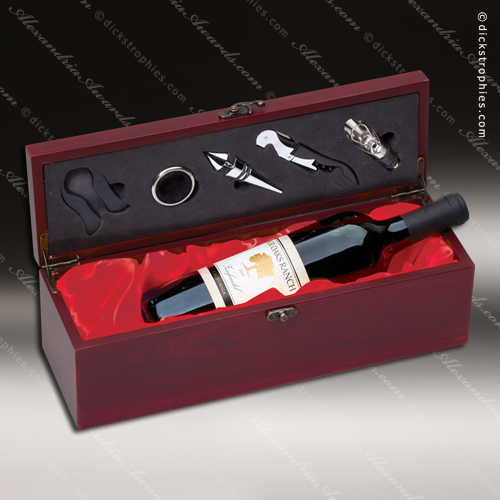 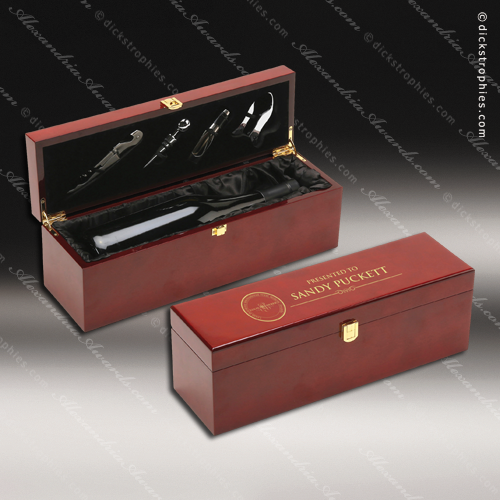 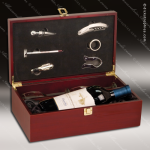 The rosewood finish on this wine box is enhanced by the silver hinges and clasp on the front of the box. 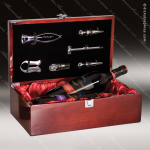 The inside is padded and lined in black with a place for the glasses to fit snugly next to the wine bottle. 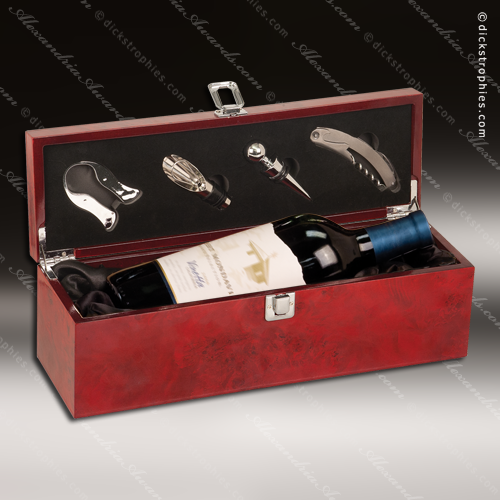 The lid is lined with charcoal colored molded foam that holds the tools in place. 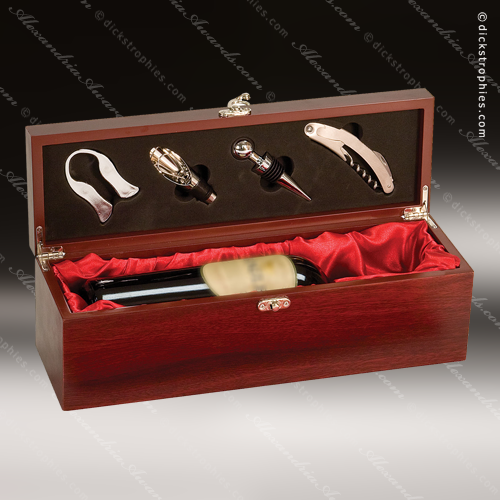 The tools included in the set are a stainless steel corkscrew, thermometer, stopper, drip collar and decanting pourer, and a plastic foil cutter. 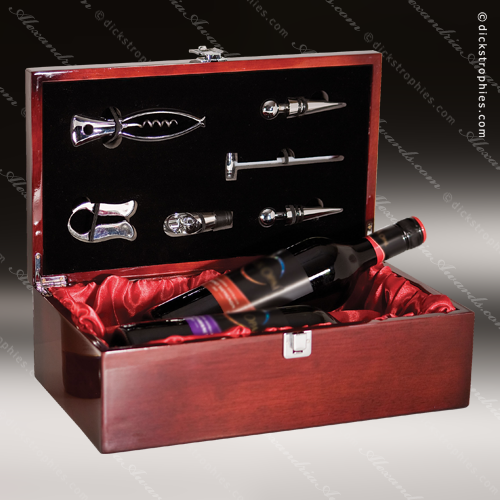 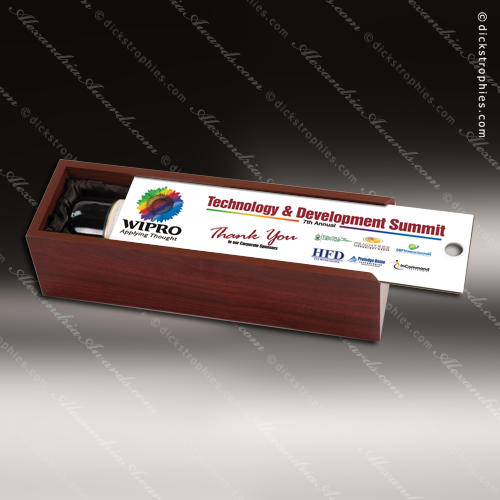 Personalize the box for an exquisite gift or corporate incentive or promotion. 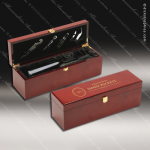 This beautiful rosewood box opens at the top to reveal 2 wine glasses nested in charcoal colored molded foam. 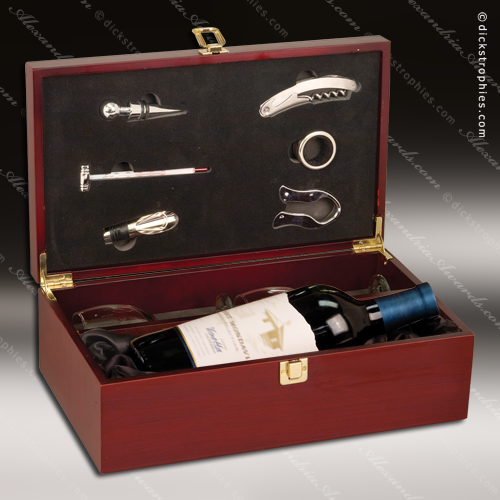 The slide out drawer at the bottom of the box holds 5 wine tools for opening, pouring and storing wine bottles. 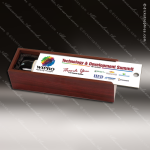 The gold hardware further enhances the elegance of this piece that can be personalized as a gift to commemorate an important event, or with your company logo to be given as a corporate award.